Are you a young American Christian? Are you a young American Christian who’s feeling a little confused right now? 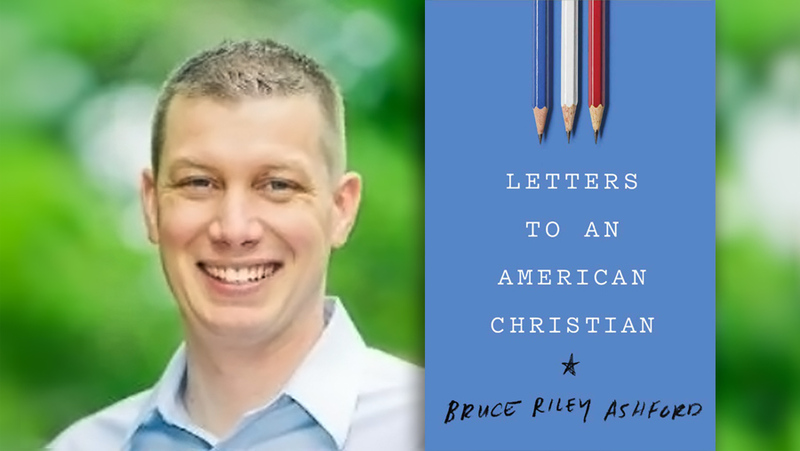 A young American Christian who would like to understand what we’re talking about when we talk about “conservative principles?” Bruce Ashford, provost of Southeastern Baptist Theological Seminary and frequent FOX News contributor, has written Letters to an American Christian for you. I recently reviewed the book at Patheos, and today I’m pleased to bring you an interview with Ashford, in which we discuss some of what you can expect to find if you pick up a copy of your own. Esther O’Reilly: I was a Never Trump voter in 2016, though I respect some of those who disagreed. So your comments about being “politically homeless” really resonated with me in this book. Do you see yourself as re-seeding a brand of conservatism that’s been lost in the age of Trump? Bruce Ashford: Yes. In 2016, Candidate Trump’s campaign marked a departure not only from Reagan-Buckley political conservatism, but also from certain Christian commitments. Thus, as a politically conservative Christian, I am concerned about some of President Trump’s words and actions. But more to the point: to the degree that Christians are being shaped by the gospel, we will always feel at least a little bit homeless in secular political parties. We won’t be able to just stand there and accept whatever is handed to us on a platter by any political leader, party, or ideology. BA: No, it is not true that the left should be the voice of society’s underclass. Consider, for example, the gushy aura of excitement surrounding many progressives’ recent embrace of socialism. Socialism is not good for the poor, for the rich, or for anybody in between. And while it might provide some poverty alleviation for some people in the short term, it would make all of us poorer in the long term. Another way of putting it is to say that socialism does bring a certain sort of “material equality” to a nation, but it’s the sort of equality that ships experience when they are all sink together with a receding tide. You comment in the book that if the left doesn’t like the religious right, they should see the *irreligious* right, or alt-right. How serious is the alt-right phenomenon? Does it extend beyond “a few trolls on Twitter,” or “a few guys in their parents’ basements?” Should observant conservatives give it more attention? BA: Good question. I am unsure of how widespread the phenomenon is. Only time will tell. I know that I regularly receive emails, social media messages, and snail mail communications from alt-right persons who dislike my opinion articles. I know that some of the people with whom I’ve been personally acquainted for many years are now saying things that are similar to alt-right personalities such as Richard Spencer or Jared Taylor. But my suspicion is that we’ll never see a large “alt-right” movement in any formal sense, even though some of the alt-right’s views have found a degree of acceptance within more mainstream circles. A young woman recently wrote a viral blog post announcing that “the pro-life movement has lost,” because some individuals who identify as pro-life voted for Trump or don’t share her politics on issues like immigration, gun control, etc. How should pro-life conservatives respond to this sentiment? BA: On the one hand, I agree with this woman’s underlying point that any respectable “pro-life” ethic should ascribe dignity not only to unborn lives, but also to black lives, Parkland lives, and undocumented lives. But I disagree with her inferences and conclusions. She seems to indicate that the pro-life view is somehow in opposition to Second Amendment rights, a view with which I disagree. Similarly, she says that pro-life proponents were silent during the “family separation” controversies at the border. But many pro-lifers, including me, were quite vocal that there must be a better way forward than separating children from their parents at the border. Increasingly, it’s becoming difficult to identify openly as a conservative Christian in university and work spaces without jeopardizing one’s livelihood. How can conservatives be salt and light in a culture where freedom of speech is no longer a cultural given? BA: In a nutshell, I think we can give a powerful public witness, even from the political margins. After all, in John 20:21, when Jesus said to the disciples, “As the Father sent me, so I send you,” he showed them the holes in his hands and side. If the cosmic King was willing to come to earth to minister as an itinerant teacher who had nowhere to lay his head, then we can find a way to embrace whatever opposition we might face. If he was willing to be crucified for speaking the truth to power, for declaring that he is Lord and Caesar is not, then we should be ready to give public witness from a position of social, cultural, and political weakness. For parents who would like to instill conservative principles in their kids but aren’t sure where to start, could you list just a few books that are must-have resources? A “conservative principles starter kit,” say? BA: Hmmm. For students entering college, I’d recommend Yuval Levin’s The Great Debate, which introduces America’s right/left political divide; Roger Scruton’s Conservatism, which is an elegant argument for conservatism today; David Koyzis’ Political Visions and Illusions, which critiques modern political ideologies and argues for a principled pluralism fostered by the Judeo-Christian worldview; and my and Chris Pappalardo’s One Nation under God, which is a very brief introduction to politics from a conservative American Christian point of view. Thanks to Bruce for this interview!